Delivering online presentations, conducting audio and video conferencing or simply using desktop screen share for IT support is simplified with the Go Creative Wireless Web Conferencing platform. Instantly conduct meetings and add participants on the fly, all on your personal branded landing page without any messy plugins or downloads. Impress your clients and offer better business solutions with Go Creative Wireless Web conferencing technologies. Being agile in business is being better. With Go Creative Wireless Web Conferencing solutions schedule meetings via the calendar in just seconds and click the tools you need to communicate effectively. Private IM chat to select participants, use the annotation pen to focus attention on the subject and send files instantly to participants with just a click! Go Creative Wireless Web Conferencing is a comprehensive turnkey webinar service that supports web presentation, live multi-user video and audio conferencing, and remote desktop support capabilities. 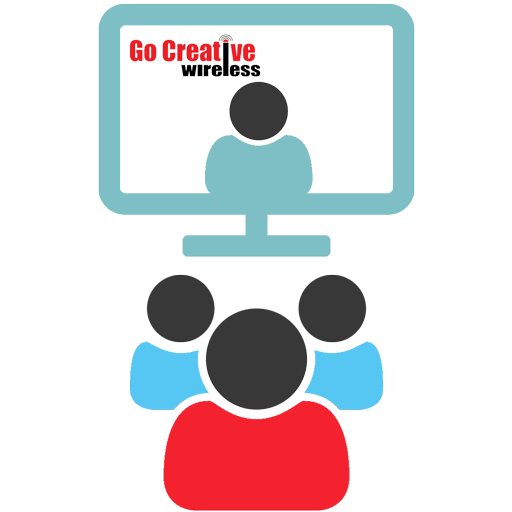 Go Creative Wireless Web Conferencing can be ordered in conjunction with any other Go Creative Wireless family of services. 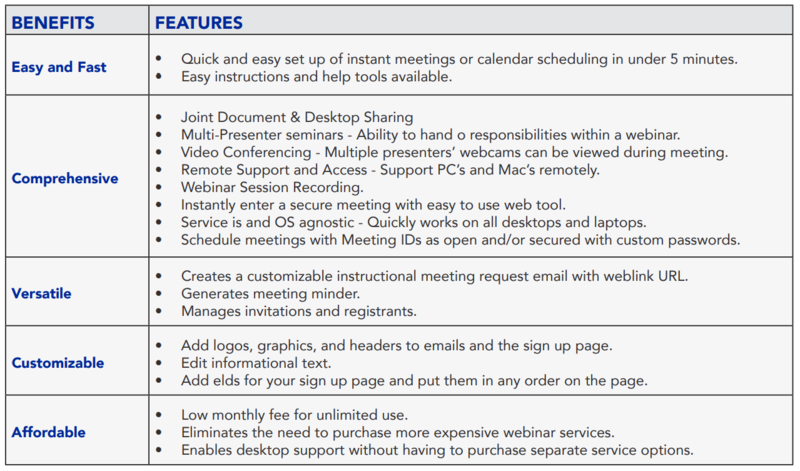 It is more extensible and user friendly than webinar solutions from providers like GoToMeeting®, Adobe®, and Webex®.